The Belgian Malinois (pronounced MAL-in-wah) is a diligent, loyal, and highly intelligent dog breed. Large in size with a very streamlined, athletic build, this breed is both strong and agile. 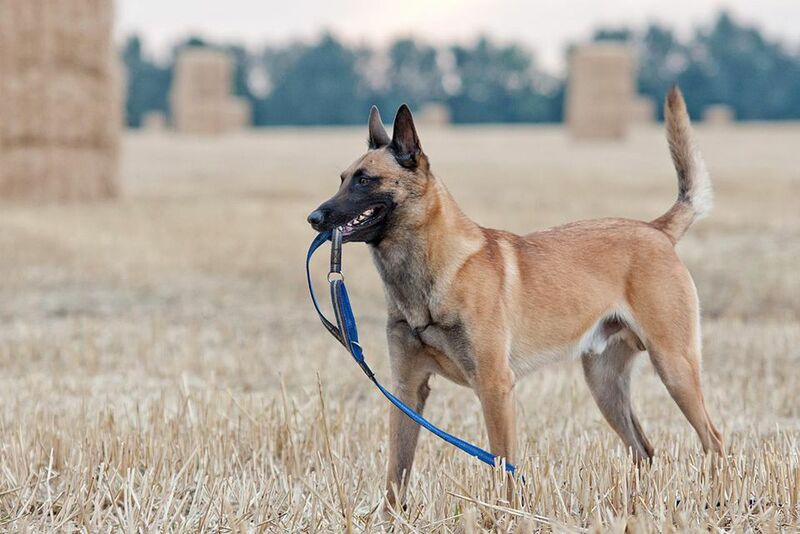 The intense and hard-working Belgian Malinois is extremely well-suited to become a working dog, especially in police and military operations. This breed can also make an excellent companion for the right person. Though sometimes mistaken for the German shepherd dog, the Belgian Malinois is a distinct breed. The two have several similarities, but the breeds are not directly related. The Belgian Malinois is a native of Belgium and one of the four varieties of Belgian shepherd dogs. The other three varieties are the Tervuren, the Groenendael, and the Laekenois. These Belgian shepherd dogs were developed in Belgium in the late 1800s and are registered in Belgium and France as the Chien de Berger Beige. The Malinois was named after the city of Malines, where it was developed by trainers and working competitors. The Belgian Malinois first arrived in the U.S. around 1911 and gained popularity. Some were used as military working dogs during World War I. The breed became less prevalent during the Great Depression, but enthusiasm for the breed picked back up in the late 1950s and early 1960s, becoming AKC recognized in 1959. By the turn of the 21st century, Belgian Malinois were commonly seen working as police dogs, military working dogs, drug detection dogs, and search and rescue dogs. Belgian Malinois are employed by the Secret Service to patrol the White House grounds. Belgian Malinois are part of Navy SEAL teams and have been used in operations including that which resulted in the death of Osama bin Laden in 2011. These dogs wear body armor and can use night-vision goggles. They are able to join in skydiving for military operations. The Belgian Malinois has a short, straight, weather-resistant hair coat with a dense undercoat. In general, little more than basic grooming is necessary. However, the Malinois is known to have a relatively high shedding rate (especially seasonally) and can benefit from regular brushing. This breed often wears down its nails though activity (walking on pavement), but be sure to check the nails regularly to make sure they don't need trimming. Pay attention to your dog's dental hygiene and brush his teeth at least two to three times per week. The Belgian Malinois is a highly energetic dog that may become restless or anxious if not properly trained and handled. It is absolutely essential for all Malinois to be properly trained. These dogs will ideally be trained to perform a duty and will take pride in such. In addition, plenty of vigorous exercise is a necessity for this breed, far more than for the average dog. Besides brisk walks, try to give your dog some time to run around a fenced yard off-leash. Be aware that their herding instinct might mean a tendency to chase cars or bicycles. This breed is an excellent candidate for involvement in dog sports or any activity that involves focus and endurance. Be aware that the Malinois may become stressed, anxious, or develop behavior problems if proper training and exercise are not provided. The Belgian Malinois is most certainly not the right breed for everyone. They are not well-suited to liming in an apartment as it is good for them to have a fenced-in yard or acreage to run on. If you have a very active lifestyle, plenty of time to spend with your dog, and desire an active dog with an intense personality, then this might be the dog for you. They require proper training and socialization. The Malinois may or may not be appropriate for families with children. Use caution, as this breed can be intense and even hyperactive. Be sure to train your dog to tolerate kids. It's also very important to teach your kids to behave properly around dogs. No matter the breed, never leave a dog alone with small children. This breed has a high herding instinct and your dog may try to herd kids by nipping at their heels. This breed is known to be aggressive toward other dogs and cats, so you will need to socialize your dog well from a young age if you have a multi-pet household. It may be unwise to add new additions to the household at a later date. Your pet may also do poorly at a dog park around other dogs. Feed your Belgian Malinois two meals a day of 1 to 1.5 cups of dry dog food. The amount needed will vary depending on your pet's size, age, and activity level. Your dog's needs will change throughout his lifespan and you should discuss this with your veterinarian for specific advice. Be sure to provide fresh, clean water. Obesity is a concern for all dogs. If you think your dog is putting on extra pounds, discuss how to modify his feeding schedule, amount, type of food, and exercise with your veterinarian. As with any breed, if you think the Belgian Malinois is right for you, be sure to do your research before you get one. Talk to your veterinarian, other Belgian Malinois owners, reputable breeders, dog trainers, and rescue groups to learn more. If you’re interested in similar breeds, look into these to compare the pros and cons. There are a great many dog breeds out there. With a little research, you can find the right one to bring home.